Hola100 comes with a beautiful 4,5" QHD display wide angle technology that makes all your photos and videos come to life. 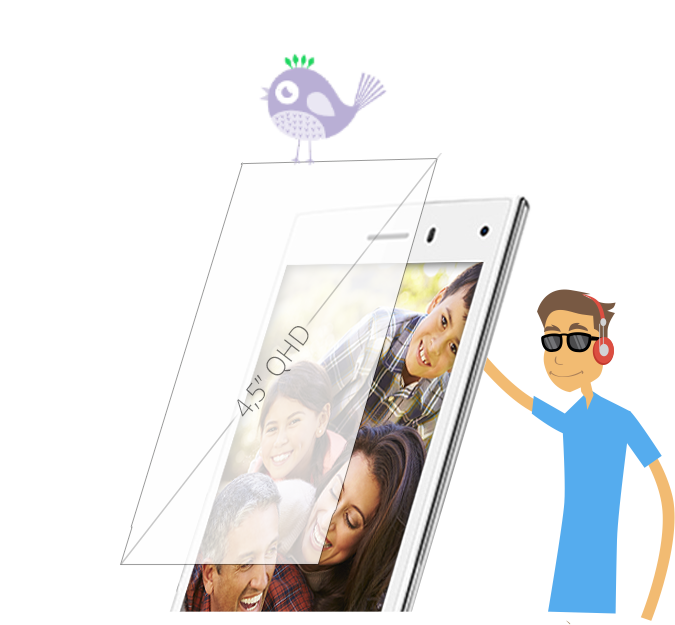 Because of the widescreen, you can easily play large 3D games or high-definition videos at the best experience. The gorgeous colors of our Hola100 were selected to fit your style and to bring vitality into your life. 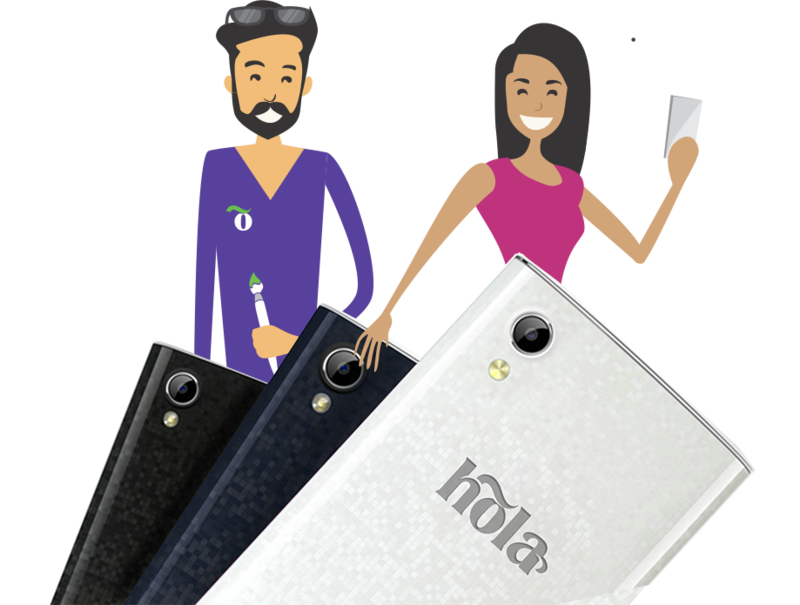 The back case is made from a strong material with a diamond design which makes the Hola100 truly a really high-end smartphone. Bring to life all your photos and high-definition videos with Hola 100's 5MP camera. 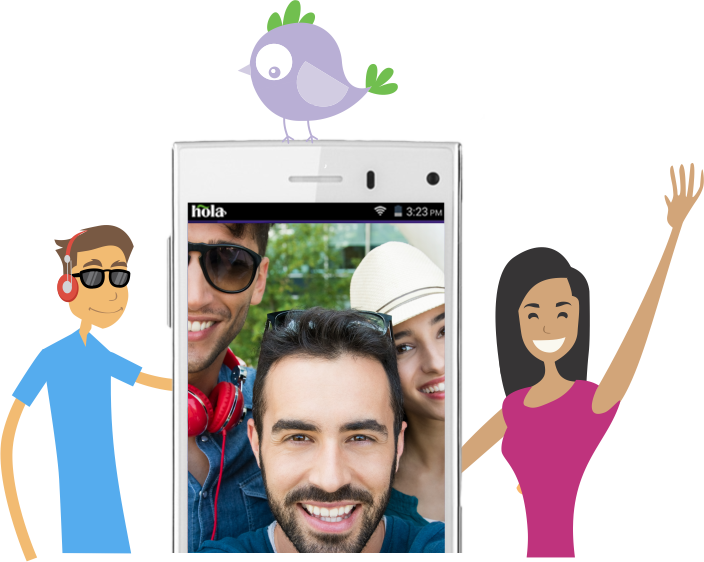 For the best video call experience, Hola100 comes with a 2MP front camera. The Hóla100 was built to fit all your needs! It's soft touch material feels very different than other plastic texture you ever felt. 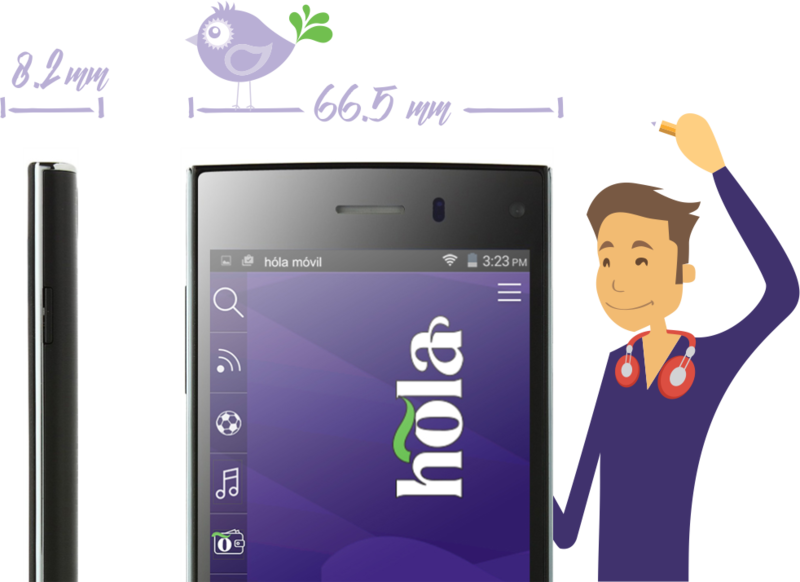 Not only is it an elegant, high-quality phone, but a slim high-quality one also.You will find it packed with our very useful Hóla user interface and pre-installed with our value-added apps.